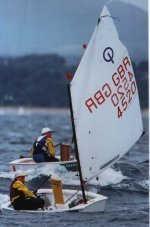 Porter Brothers (www.porters.org.uk) are one of the longest established and most well respected dinghy and small keelboat builders in the United Kingdom. Porter Brothers are based at Emsworth Yacht Harbour in Hampshire, UK. 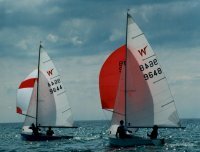 Porter Brothers have an extensive range of models which account for some of the most popular designs in the world including the internationally respected Optimist and Wayfarer dinghies, together with the Wanderer and Gull Spirit, for which they are the sole UK builders. 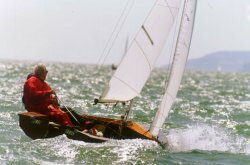 Over the years Porter Brothers built boats have won numerous World and National championships in a variety of classes. Their building and finishing techniques are second to none, they have been at the forefront of a number of technological advances. Many of the major schools and institutions use Porter Brothers as an equipment supplier, as do the Ministry of Defence. Porter Brothers are located in the UK, where they also offer an extensive boat repair and refurbishment service as well as the sale of new and used boats. They also have a range of European agents established. From the board of one of the worlds most successful and influential designers back in 1957, the Wayfarer has always been one of the most respected classes. 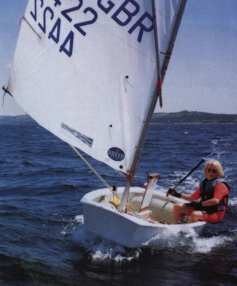 Ian Proctor designed a boat suitable for a multitude of purposes from day sailing to championship level racing. Possibly the most successful training boat ever, the Wayfarer has been fully developed and tested over the years to its current high level of refinement with different versions catering for peoples different requirements. An excellent sea boat with the capability of long sea passages. 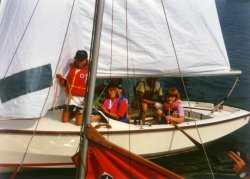 Over the years the Wayfarer has become the ideal boat for many uses. An excellent training dinghy, the Wayfarer has also been proven beyond doubt to be the best small craft for cruising with a record of heroic trips from the UK to Scandinavia, Europe, around the Mediterranean and throughout North America. The Wayfarer is also one of the best supported racing classes in the U.K. with racing available at the majority of clubs, partly thanks to a competitive handicap. For those with higher aspirations National and International Championships are held regularly. The Porters Optimist is the only UK GRP built boat currently available. All boats are supplied complete and ready to sail with class registration and measurement certificate. Please visit their website at www.porters.org.uk for further details.